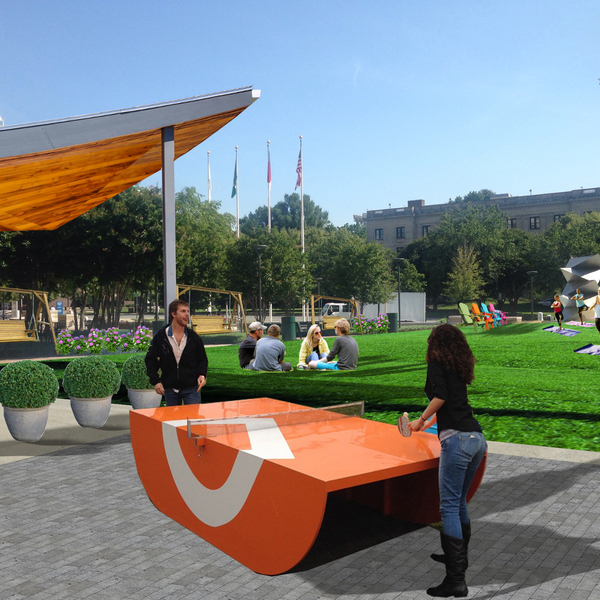 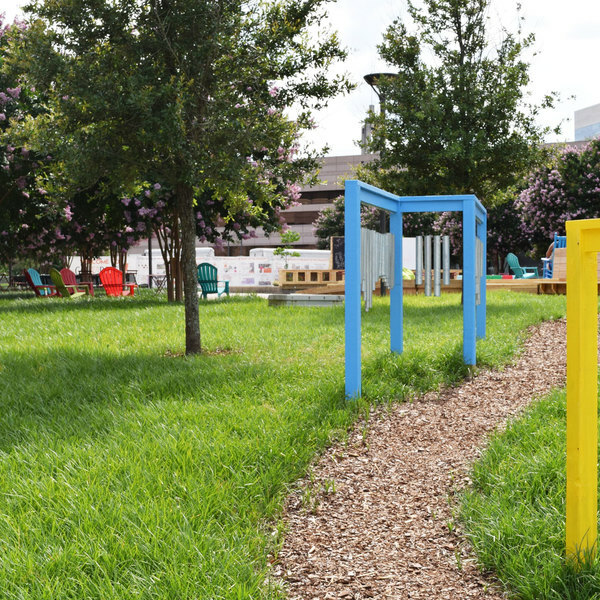 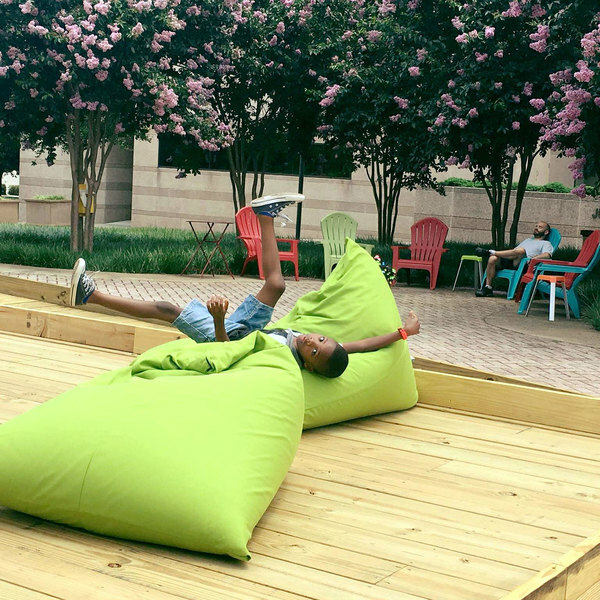 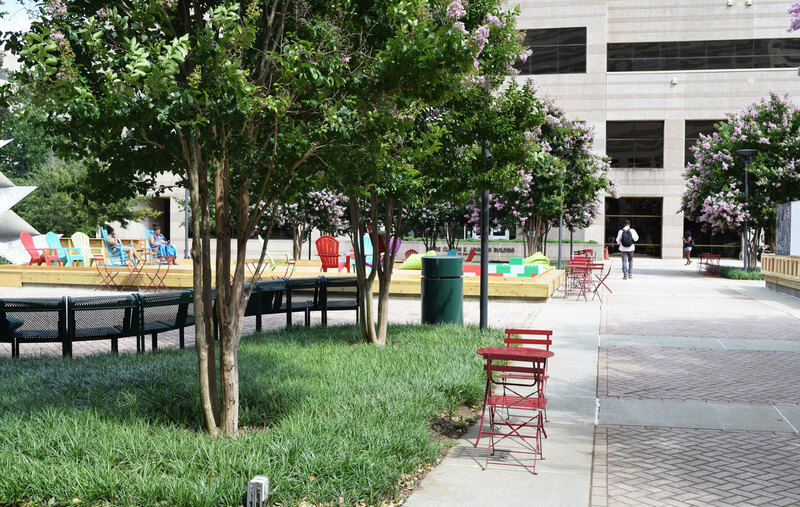 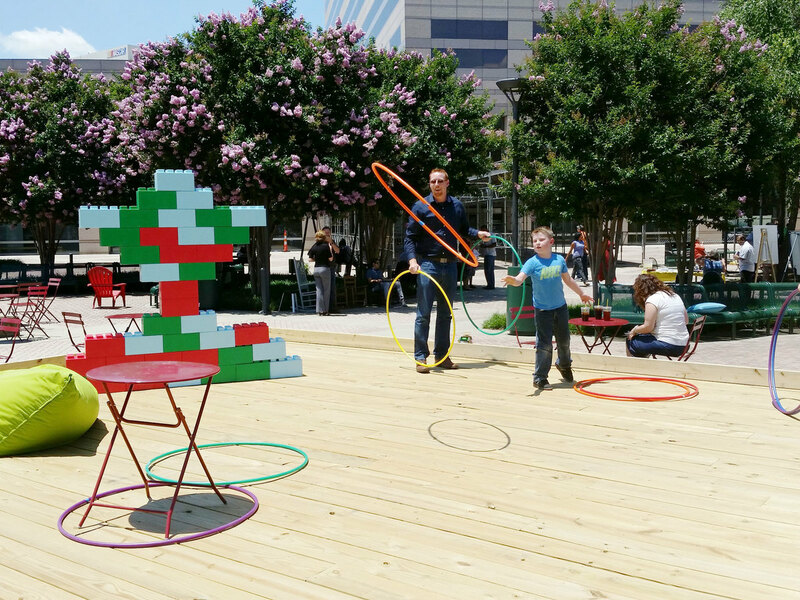 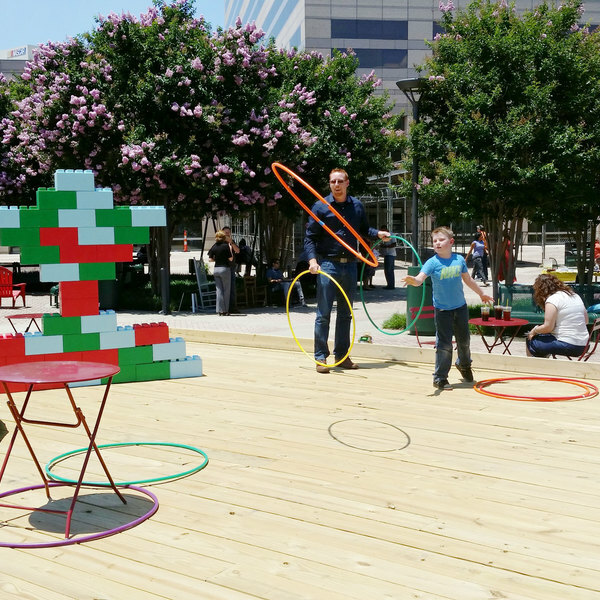 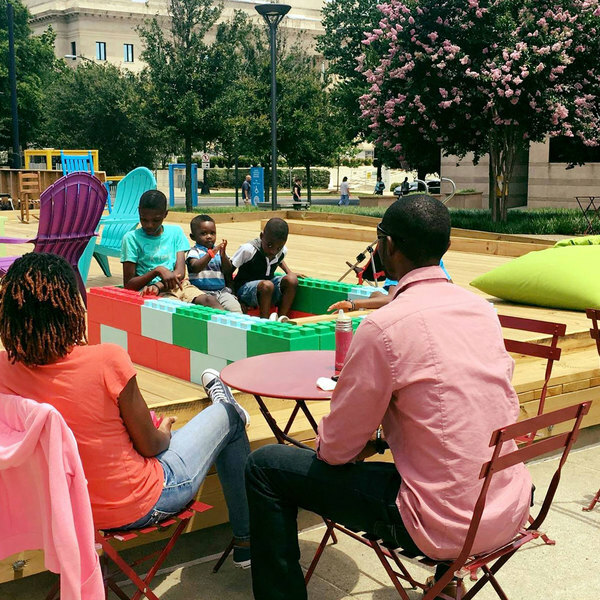 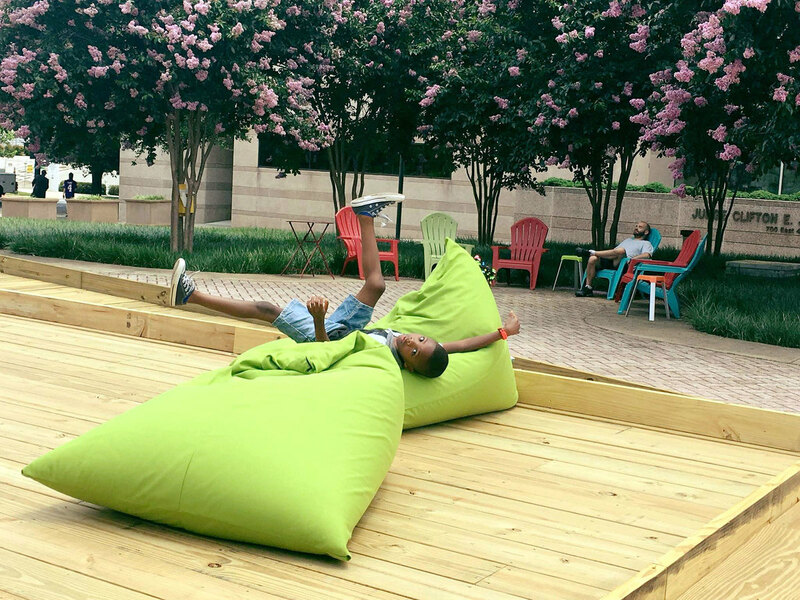 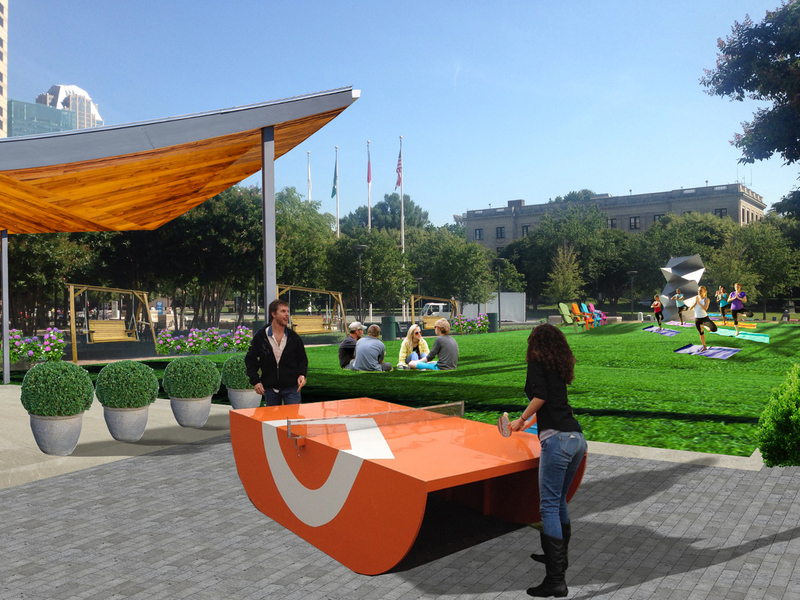 What was once a blighted government plaza is now playful, useful and functional. 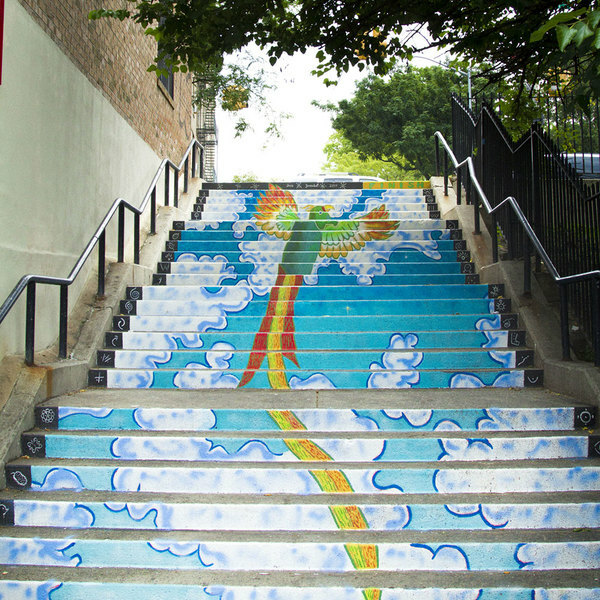 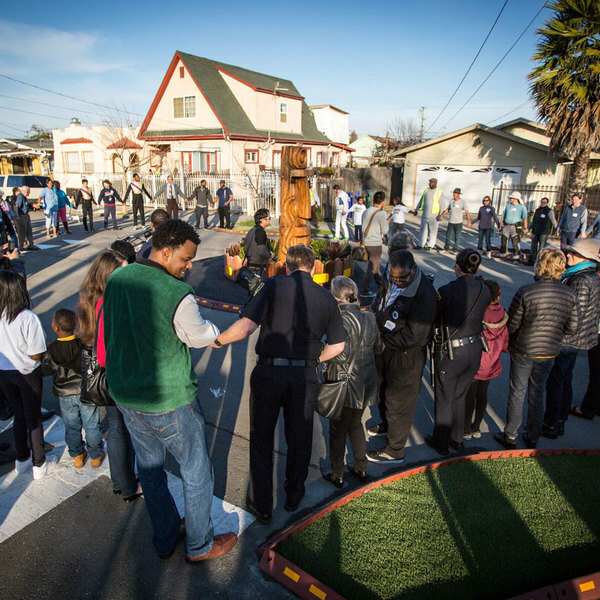 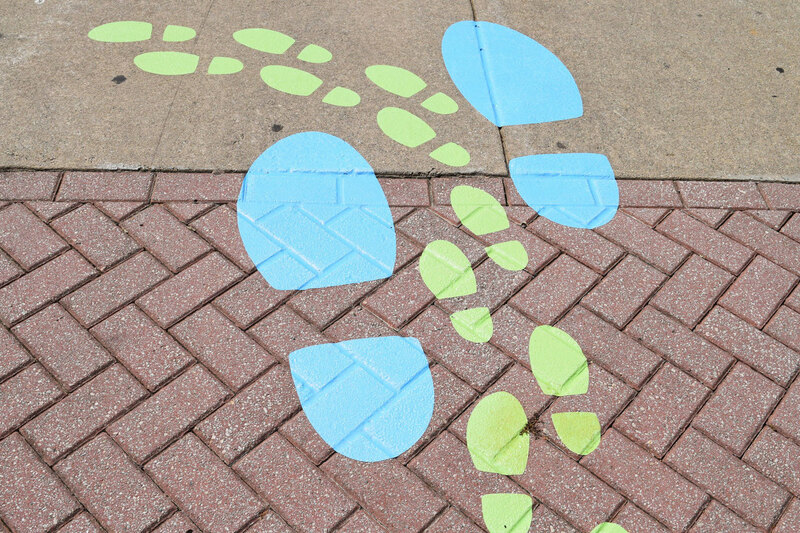 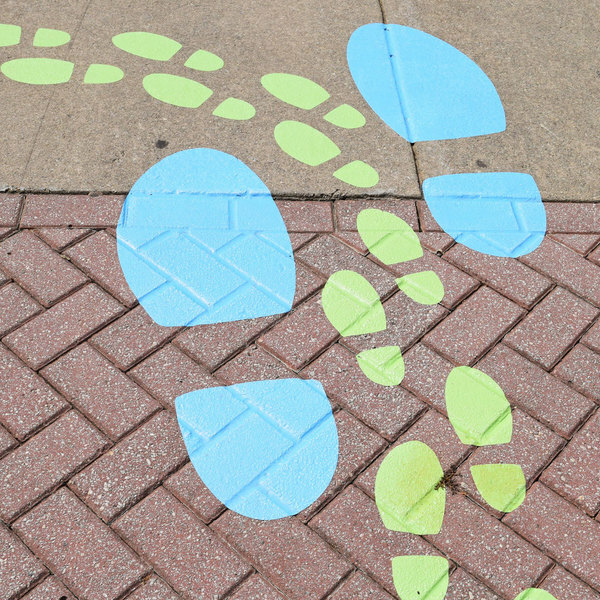 GovPorch invites passersby into the plaza with colorful footsteps on the sidewalk leading to the area of play. 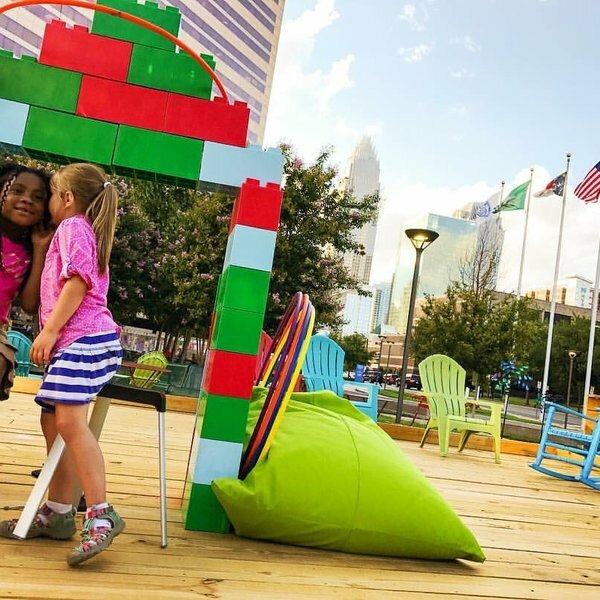 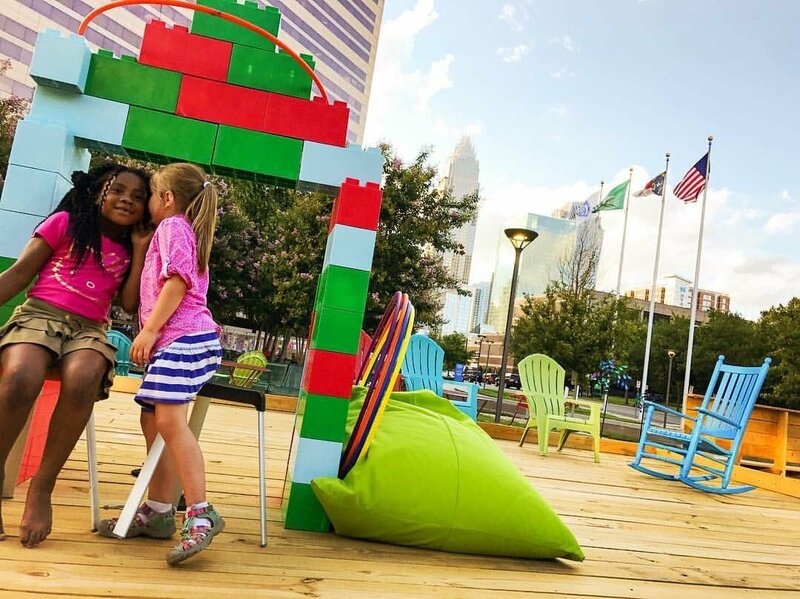 There, people can find playful elements, including colorful porch swings, platforms that kids and visitors can sit on, climb on and play on structures with themes that prompt discovery, outdoor bean bags, ping pong tables and life-sized legos and cars. 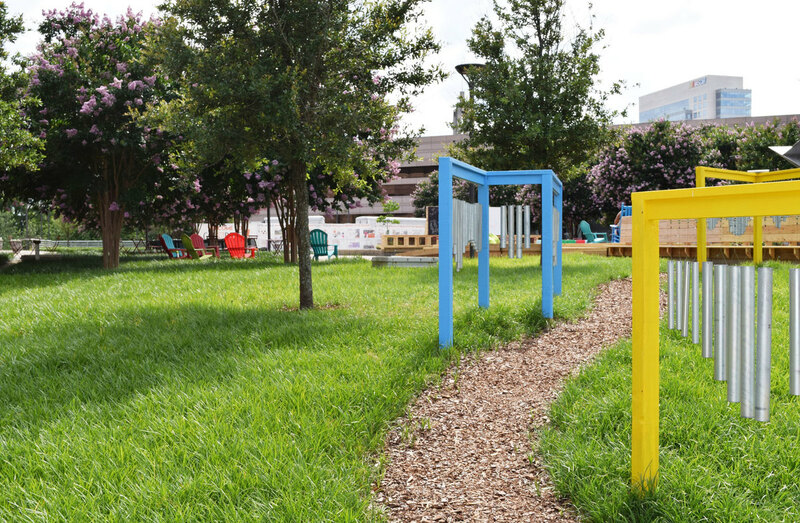 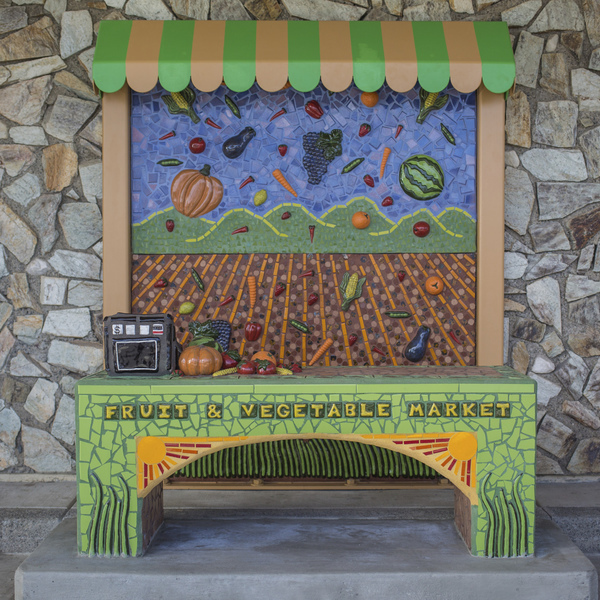 The installation also offers a library garden, kid-painted stepping stones and platforms with colorful seating. 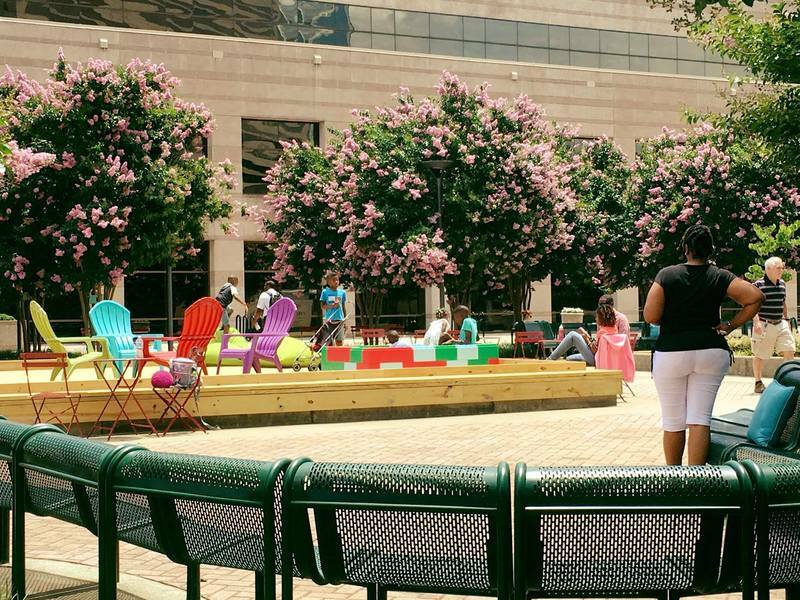 GovPorch is now being used as a place to gather and celebrate. 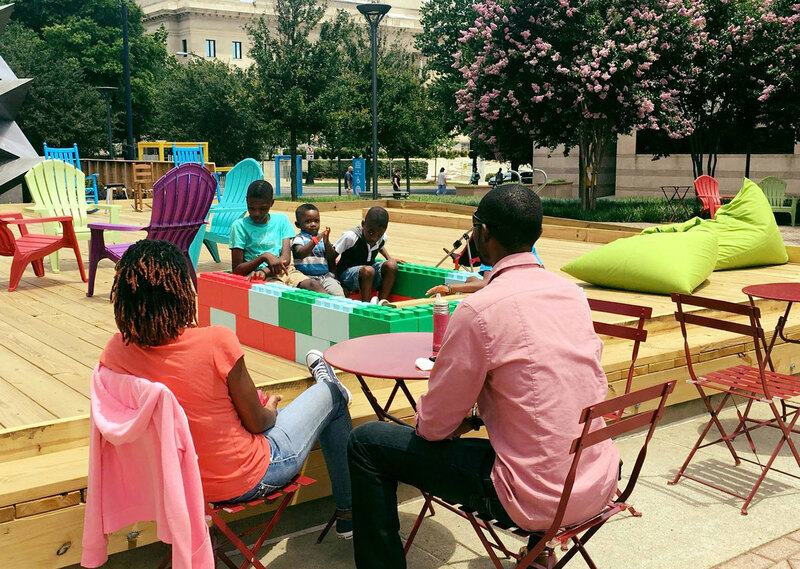 The space has become a place of fun that families visit when they aren’t running errands. 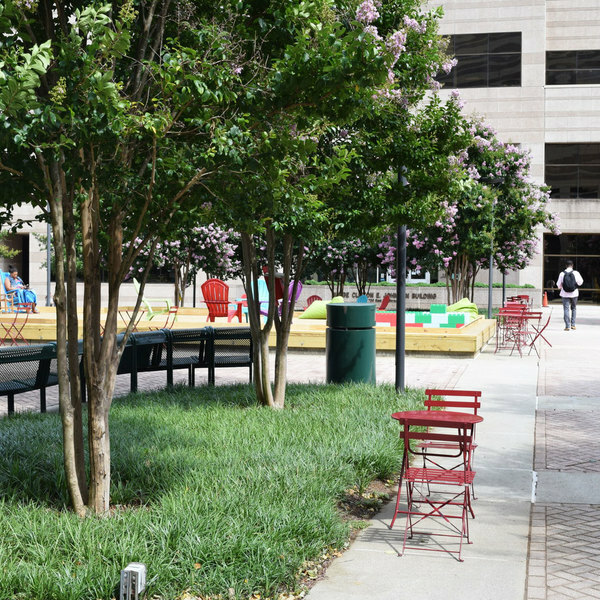 In an area that is mostly government buildings, the installation encourages people to come outside and meet their neighbors.